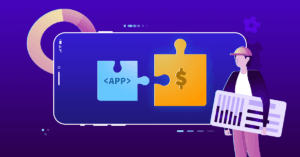 In this post we talk about ASO (App Store Optimization), Organic Uplift, boosting paid campaigns, eCPI and much more. Last week, after some experiments and testing, we introduced Organic Uplift metric in TheTool, our brand new ASO tool. This “curious” and relevant metric is possible to our official Attribution Partner integrations like AppsFlyer. Don’t worry, in case you use another Attribution Partner, more integrations (view all integrations) are coming to TheTool very, very soon. Also, it’s important to remark that, for iOS App Store, an attribution partner is the ONLY way to measure organic installs and ASO strategy performance. In this screenshot from TheTool (installs section) you can see that when non-organic installs volume increases, Organic Uplift improves (green line) and organic installs volume increases (dark orange)… Nice, isn’t it? Don’t forget organic installs are FREE. Hey, wait! Organic Uplift seems interesting, but… What the **** is it? Sure other people have other definitions or, maybe, another names for the same stuff, but we understand Organic Uplift as the number of organic users acquired per each non-organic user expressed in %. Easy, right? 50% organic uplift: you get 0,5 organic install per each non-organic install. 100% organic uplift: you get 1 organic install per each non-organic install. 1200% organic uplift: you get 12 organic installs per each non-organic install. Organic Uplift depends on country, category and on-metadata (Search + Conversion) optimization. The higher the Organic Uplift, the more organic installs and, so, the lower eCPI (effective Cost Per Install). In TheTool, Organic Uplift helps understand the relation between non-organic & organic installs in a simple and visual way. Well, we all know (or should know :P) installs volume is a crucial ASO factor when it comes to keywords and Top Charts rankings. Also, we know that higher rankings means more visibility and… do you know what happens when you increase an app’s visibility on stores…? Yes! You get more organic installs! Since Feb 19, Top Charts rankings and keywords rankings starts improving and from Feb 23, organic uplift (o. uplift) and organic installs volume increases, so, for a higher installs (organic + non-organic) volume, eCPI decreases. Experiment is based on a local iPhone app (available only in 1 country) and starts on Feb 19. App on-metadata was already optimized for Search & Conversion. We did not increase budget, we simply relocated it. We did not run “burst campaigns” (incent installs). Today (Mar 6), Organic Uplift is still over 100%. As you can imagine, our friend is VERY HAPPY! We keep App Store Optimization & Mobile Growth simple, so viewing Organic Uplift in TheTool dashboard is very easy! TheTool is an ASO (App Store Optimization) tool developed 100% by entrepreneurs and specialists in marketing and digital business with more than 10 years of experience. Haven’t you tried it yet? Don’t forget to sign up for FREE and, in case you’re interested in testing Organic Uplift feature, sign up in Startup, Growth or Ninja plans. They all have 7-day FREE trial so you can test everything! Feel free to share this post about Organic Uplift, App Store Optimization and eCPI. Thanks in advance! What are you waiting for to “play” with Organic Uplift?